Are you tired of playing the same pieces all over again? Would you like to play arrangements no one else has access to? Of course you can write your own arrangements, but you might not have the time to take care of the novelty value of a large repertoire. Or you might want to use a riff Orlando Goñi plays on a record, but you haven’t managed to write it down on paper. So let me help you! 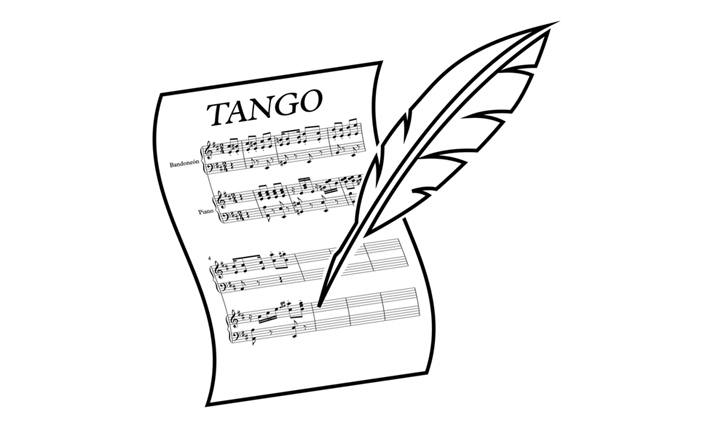 By your order I will write tango music arrangements and parts for all kinds of ensembles – any tango, any milonga, any vals in any style you name as long as the exemplar can be found as a recording. I will guarantee that the arrangement you get is unique and specifically written for your ensemble. If you don’t know what to play next, I can help you find new repertoire. As a DJ and tango enthusiast I have a wide knowledge of traditional tango music and will be able to suggest single pieces, coherent tandas or even whole nights of music for you. If you are interested, please write to info[ät]tangopluma.com and ask for a tender! Later on these pages will contain a request processing system where you can specify your needs and wishes as the basis of your request.